Campbell Soup’s bet on fresh food didn’t pay off. The company announced Thursday that it is selling Campbell Fresh, which includes Bolthouse Farms juices, carrots and salad dressings, Garden Fresh dips and tortilla chips and Campbell’s own refrigerated soups. Campbell (CPB) is also selling its international business, which includes Tim Tam cookie maker Arnott’s and Kelsen Group. The decisions are the result of a full operational review the company began in May, in the wake of poor sales and a reportedly rocky integration of snack company Snyder’s-Lance, which Campbell completed in March. The company’s longtime CEO Denise Morrison also abruptly retired in May. Interim CEO Keith McLoughlin said in a statement on Thursday that the board considered a full sale of the company among other options, but ultimately decided that divesting of the two businesses was best. “The board remains open and committed to evaluating all strategic options to enhance value in the future,” he added. 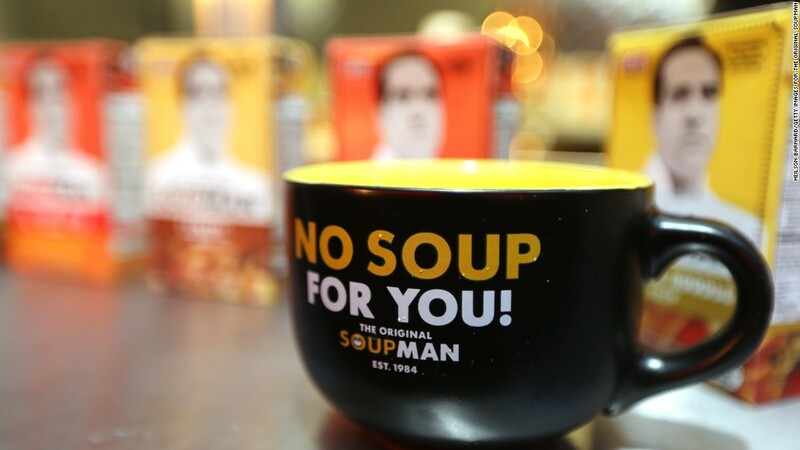 McLoughlin said that the sales will allow Campbell to focus on its core US businesses, including canned and microwavable soups, V8 and Pepperidge Farm snacks. They should help bring down the company’s debt. Sales in the the three months ending in July grew 33% from the same period last year, but that growth was entirely owed to Campbell’s acquisitions of Snyder’s-Lance and Pacific Foods, which make soups and plant-based beverages. Campbell bought Pacific last year. Without those new businesses, Campbell’s sales would have fallen 3%. Campbell’s stock slumped nearly 17% this year and fell another 6% in premarket trading Thursday.